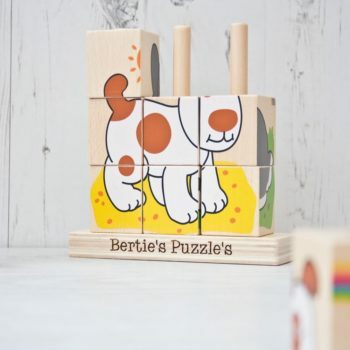 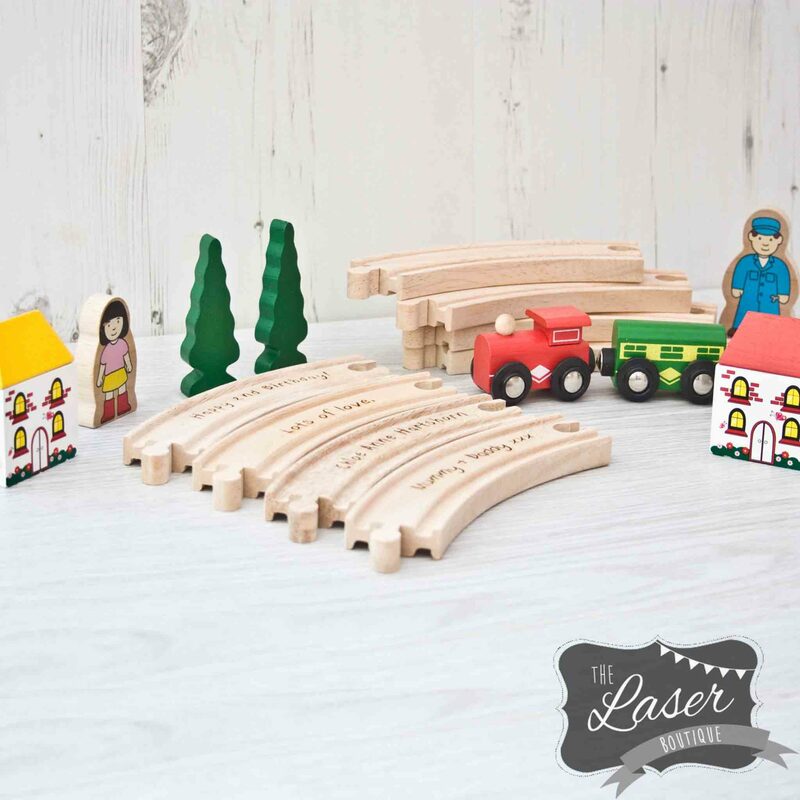 Educational and creative, this entry-level wooden First Train Set will open young minds to an endless world of adventure. 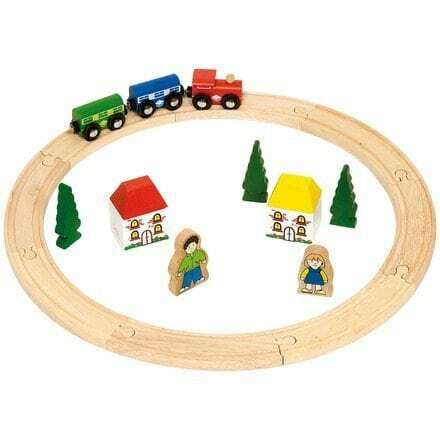 Comprising eight pieces of track, an engine and two carriages, there are also seven free-standing items to create a unique travel scene with each play. 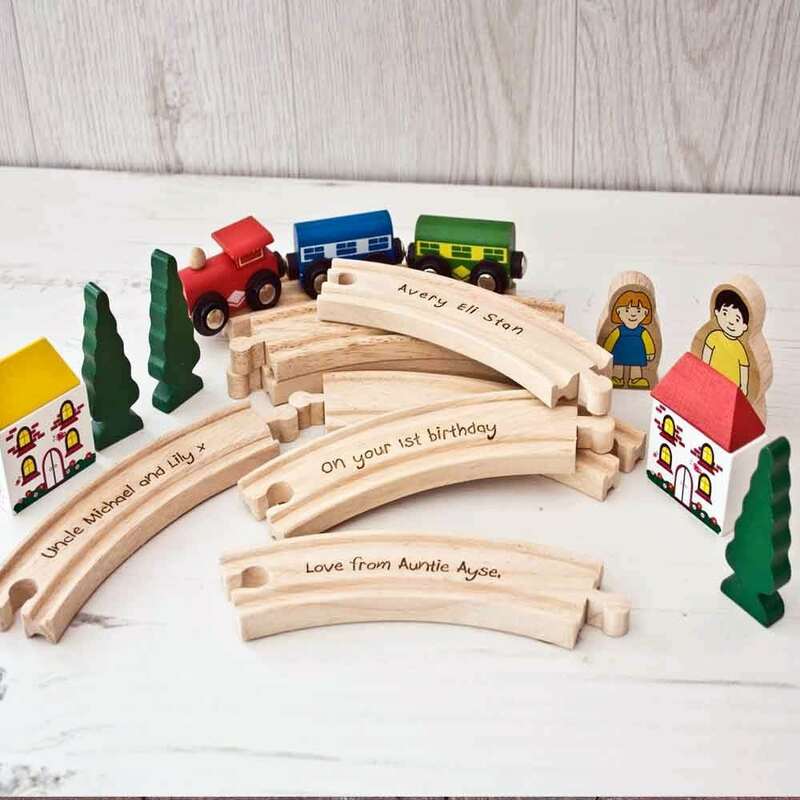 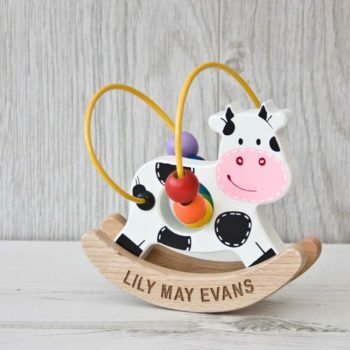 In total 4 pieces of track are custom engraved with your message on.